At the end of April, we welcomed Julie Hearn into the shop to celebrate the publication of her latest novel, Rowan The Strange. We've got to know Julie very well over the past couple of years, and it's incredibly rewarding (not to mention exciting) to have discussed the book before it's even reached the publisher, then to receive and read proofs - and finally watch as the book is published - to some seriously rave reviews. 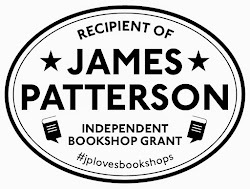 I think everyone in the shop - and a few of our customers - had read the proof, and everyone could see this was something a bit special. 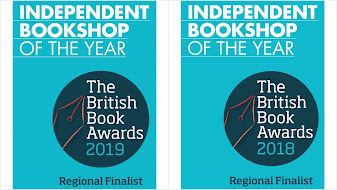 Don't take my word for it though - take a look at Bookbag's review, and reviews in The Times, and a cracking review by the extremely well-respected children's bookseller at Waterstone's in Bath, John Lloyd. I read the majority of Rowan The Strange whilst on my way back from the recent BA forum Edinburgh. The section leading up to Rowan's first 'treatment' is an incredible piece of writing - gripping, horrifying, compelling - devastating. And whilst I can't honestly claim to have almost missed my flight, I had to try to keep reading for as long as possible - and was consequently the last one of the plane. Unusually for this blog - and whilst I'm plugging the book furiously because I think it's that good - I'll link to the big A. Go take a look at the reviews currently on the site, because all three are exceptionally good reviews of the book itself, and far better than I could do. Anyway - that's the book. The event itself was a great evening, with a packed shop, plenty of Julie's fans locally, and Julie herself reading from Rowan, and giving us some great background into the research she'd done on what is one of the less well-known parts of the second world war, namely the phoney war period immediately after war was declared. Julie had one stipulation about doing an event - and that was that we had cake on the evening. Alison duly baked up a celebratory cake, and we ushered everyone out into the garden for the cutting.